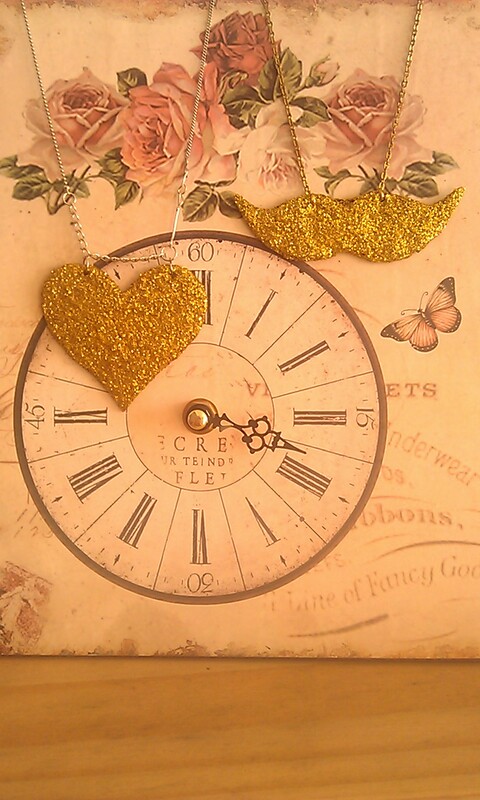 ♥ Be a limited edition ♥: Glitter moustache! Planning to tidy makes me very productive! ...with other things. 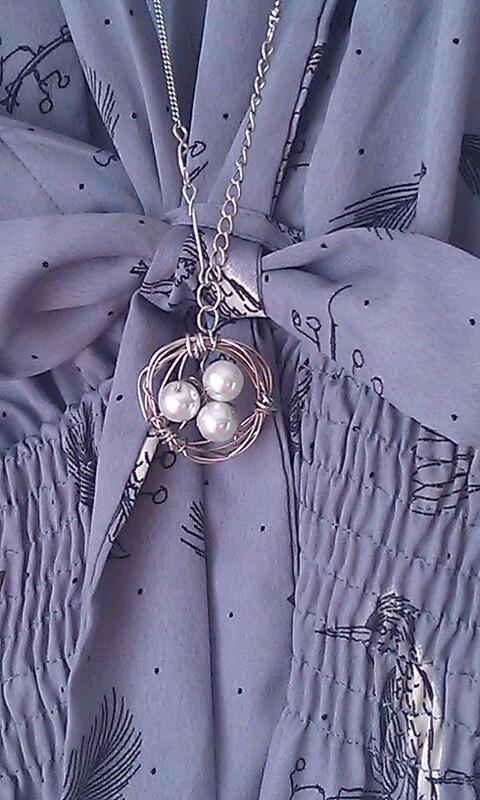 So I didn't tidy the craftroom like I planned, but I made some jewelry, which I haven't done in years. It was fun :) I found this great tutorial of how to make glittery jewelry with stuff you already have in the house (assuming you have mod podge (or simple Elmers glue) and glitter). And it was so easy and fun. I haven't had time to be supercreative with shapes, so I kept it to a moustache for Jian's sister, and a heart (for moi). I like the results, but I'm concerned about how longlasting it is. We'll see. I really didn't like the moustache-trend before, but it's really started to grow on me! I always start liking things when it's on its way out of fashion.. typical. 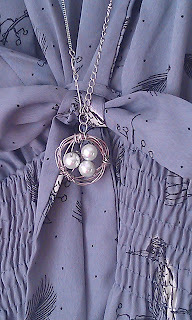 I've also been seeing this birdsnest-necklace everywhere, and I wanted to try it. Unfortunately it was a semi-fail (I haven't decided if I like it yet). I'll retry it when I have better wire.. after I've won the lottery....when pigs fly, and good snow comes to England. It really is better if you have good, bendable wire. If you want to make the awesome glitter moustache, you can see the tutorial here.